This mustard has been served at the tables of the kings of France since 1632. The Pommery family had carefully guarded the secret recipe. It is made of natural products only, which lend to its exquisite flavor and subtle aroma. It enhances the culinary art and excites the appetite. 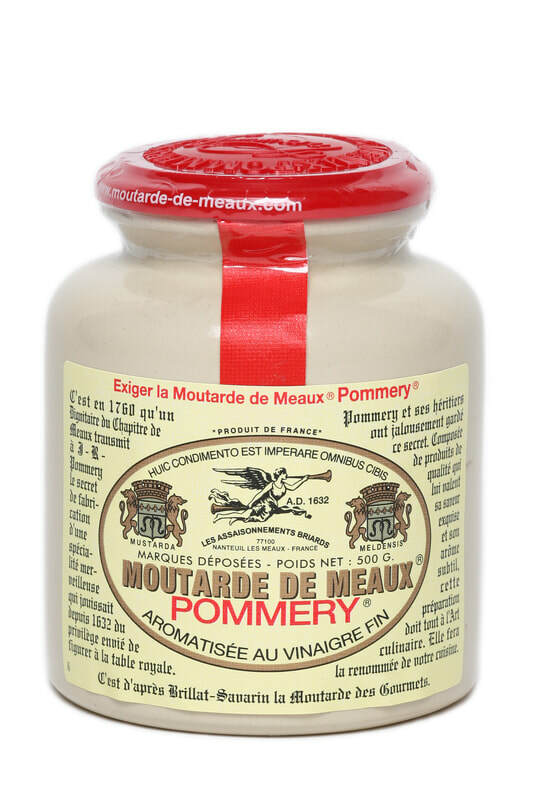 Brillat-Savarin called it the mustard for gourmets, and said, "If it isn't Meaux, it isn't Mustard." Modestly hot but very flavorful, this gourmet mustard is made by keeping the whole grain mustard seed intact, which gives the prepared mustard its distinct, gritty texture. ​Water, mustard seeds, vinegar, salt, spice. - used to lift a sauce or vinaigrette with a simple swirl.